This is the third novel in the first of the Detective Book Club collections I’ve been working on recently, and it’s the one that has the most American flavor to it, although its setting is an island off the Massachusetts coast that does not have electricity, so everyone’s still lighting oil lamps. A New York detective, released from the hospital, is sent to a bucolic island for a rest. As he arrives at the boarding house where he will stay, the residents discover a dead man swinging from the rafters in the attic. It looks to be a suicide, but the big city detective proves it a murder. Other residents begin having suspicious accidents, and the detective must lead the sheriff in investigating them. Also, he kinda sorta tries to woo another visitor, a big city resident who comes to the island to paint. He does so clumsily, with the wooing scenes reading a bit like high school, not like what grown people do. Of course, since this book was written in the 50s, the main characters are in their 20s. As I indicated, the pacing is better and the sensibilities are more modern American, but the book does seem to linger in spots, particularly in the denouement. If the other two books in the volume had been this good, relatively, I’d almost be eager to jump into another one of the volumes. Many of them feature Perry Mason or Inspector Maigret novels. However, I’ll probably look at something else for a while. And a bit of a note on the binding of these: I don’t know if my body chemistry has changed recently or what, but just holding the book to read it stained the cover a bit, which is unlike other Walter J. Black books I have read. Perhaps it was just a strange circumstance of this volume, but most of the ones I bought, I bought at the same book fair presumably had the same previous owner, so I might need to invest in some reading gloves to keep these relatively pristine. They turned the game Battleship into a full length feature film, so I’m hard at work on a screenplay of my own. Called Solitaire, it will feature one man’s struggle with the elements as he tries to reach a camp during the Yukon gold rush of the 19th century. Also, zombies. Or something. Does it matter? Not in 21st century Hollywood. The last time, it was with Larry the Cable Guy talking about unloading the bed of your pickup truck by opening the tailgate, going fast in reverse, and hitting the brakes. Although in my defense, I was merely emptying an accumulation of water and leaves. In the living room we had the telephone wire spool for the coffee table. Saw it sitting off the side of a road, borrowed a pickup truck, and hauled it home. Some people shellac them, others like the natural pitted, tar-smeared look. We painted ours the only colors we could find in Dex’s dad’s garage: aqua and black. That went well with the green-gold shag carpet and the orange sofa. The spool top was always cluttered with the remains of a wild Saturday night, usually from three months earlier. Damn, Brian! you say. You have a degree from a prestigious, they tell you, private university! How did you come to have a wire spool table? Okay, as you know, I used to live in a trailer park in Murphy, Missouri, in the smallest, most run-down trailer there, a 1968 Star trailer that measured 12′ by 60′ and could not actually be moved because it was not sturdy enough to move. Across the street, between the Torrances and Mr. Matlock, whom the FBI interviewed when my mother was obtaining security clearance and promptly tipped her off so we could run for it if we needed to, lived Cathy T. You in the suburban crowd might not realize this, but there are single wide trailers and there are double-wide trailers, but there’s also a class of trailer where additional rooms pop out of the sides, kinda like a one-and-a-half wide trailers. Cathy lived in one of those with a fancy sunken living room. You went up the stairs to get to the door and stepped down a step into her living room. Swank. At some point, Cathy became a real estate agent, and that point coincided with my mother coming into some money and wanting to buy a house. So Cathy ended up acting as my mother’s agent when my mother bought our house in House Springs, Missouri. Well, outside of House Springs, down the two-lane county highway MM most of the way to Otto, and then down off Heads Creek Road onto Ruth Drive/Rural Route 5. A house in a valley with a gravel road and supplied by a telephone party line. In 1987. We finally got a private telephone line when the cable company paid part of it to string their cable, too. Because we were looking to fill a 4-bedroom house on something like 3 acres (half wooded, with a creek and a dump on it) with the furniture from a small mobile home, Cathy gave us the wire spool table. It served as my night table through my remaining years of high school and when I returned to live first in my old bedroom and then in my mother’s sun room and basement (after she sold that house, but before she got separated from her government job when they moved it to Alabama). 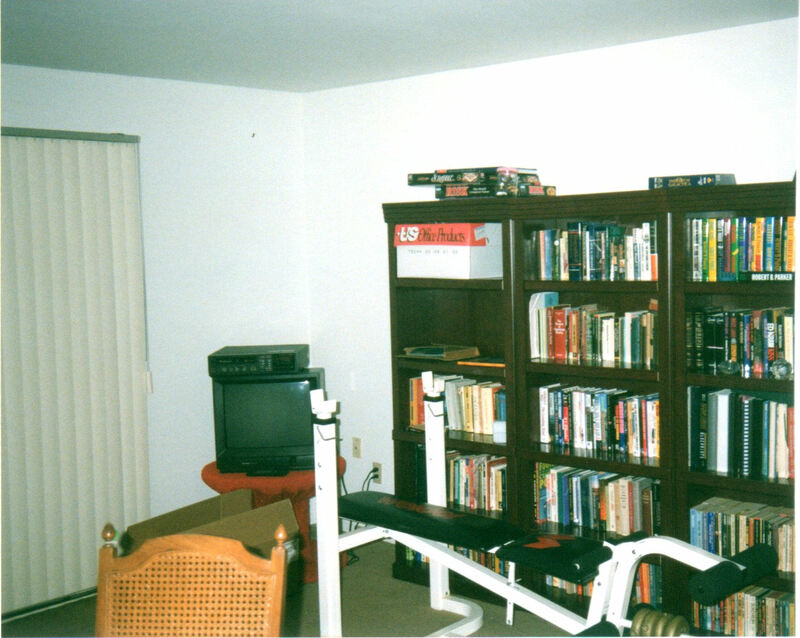 And when I moved out into the apartment of my own, it came with me, of course, since at that time, all I owned was a weight bench, a bed, three bookcases (! ), a blonde-laminate bureau, a dog-gnawed dining room table with four mismatched chairs, a television, a VCR, and a small desk. What happened to the wire spool? The same thing that happens to a number of them: Their owners got married. I thought it was a functional piece of furniture, but women sometimes value appearance over functionality or disvalue appearance enough to override functionality. It might have gone back into my mother’s basement; I seem to recall it eventually being discarded because a dog soiled its shag, but I couldn’t tell you for sure. That story, apparently, is not old enough for me to remember clearly. Is strangely amused or proud of all of the above. 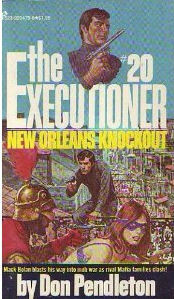 In this book, Mack Bolan goes to New Orleans to blow the mafia up there during Mardi Gras and finds that his two cohorts from San Diego Seige have been hired by a member of the mob to wire another member of the mafia and were kidnapped when they suspected the job might not be what it was sold as. As such, Bolan has to not only foment the syndicate crossfire among factions of a fraying southern territory, handle out-of-town shooters from St. Louis looking to carve the bayou fiefdom up for themselves, and help the girl, but he has to find his comrades, too. He does, of course. This book introduces the GMC Warwagon that will become part of the series from here on out. You know, if I’d read this book before Arizona Ambush, I would have found the latter less incredible. Let’s just say it’s a better read than an Elizabeth Daly doily, but I should probably start again reading more substantive fiction. If all you eat are potato chips, you’ll not find them a treat at every meal. I didn’t always used to be a talentless Internet blogging hack. Once, I was somebody. Once, I was a middle school student with a Kodak winner camera laden with 110 film. And I won prestigious awards. Or I won an award. I won second place in the North Jefferson Middle School Art Show for that picture. 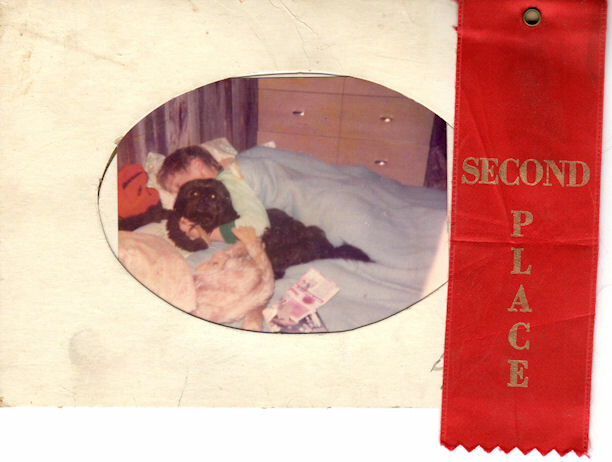 It depicts my brother sleeping with his arm around our dog at the time, Cricket. Cricket lasted from those middle school years until the year after I graduated college. In other words, she was always there in the latter half of my childhood. The picture was taken a year or so before the show; that bedroom is in the basement of my aunt’s house in St. Charles, where we lived for a year and a half after our mother moved us from Milwaukee to Misery, as we called it then. Note the innovative wainscoting. My aunt bought a bunch of fence pickets and let them sun bleach for a while before putting them over the plastered basement walls. Note the blonde-veneered bureau behind my brother. That had been part of my parents’ bedroom set in Wisconsin, pre-divorce. Aside from the dining room table and chairs, that bureau and its smaller dresser might have been the only matched furniture they owned. My mother let me have it when I moved out of her basement at age 25, so I still have that bureau in my bedroom today, with the scars from a puppy we would own a year after this photo was taken. My wife hates it, of course, and looks forward to a day when we own matched bedroom furniture. Last I saw, the matching dresser remained in the basement of my mother’s last house, laden with blankets and other clothes she bought at garage sales and probably never wore. The yellow thing with a felt paw on my brother’s arm is a monkey puppet that my mother took to a bar once or twice when she got a chance to go out, post-divorce, in Milwaukee. When I turned nine or ten, I got one like it except brown, and I named it Mark. I think I disposed of Mark only a year or so back. In his 25 years, he lost an eye, his tongue, his nose, and had a tear in his abdomen. The inverted smiley face is an orange pillow someone gave my brother. We never really liked it, but we carried it along and it was on the bed we shared in tht basement. At any rate, I had no real artistic talent, but I did have pictures from that Kodak camera to enter into the art show. And I won second place. But as I’ve said before, when you look at old pictures from familiar environments, most memories are not stoked by the foreground but by the background. 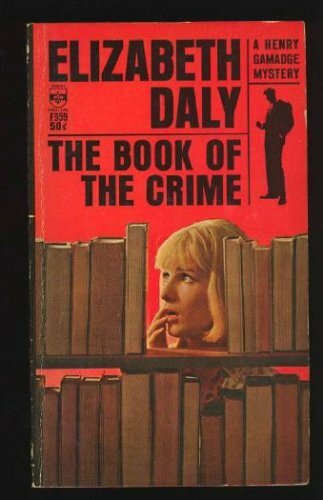 This book is one of the last in a series by Elizabeth Daly, whom Wikipedia claims Agatha Christie called her favorite American author or something. 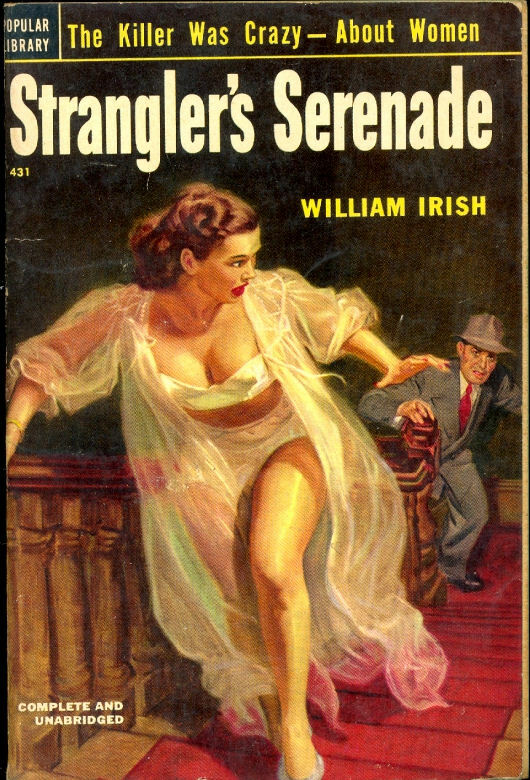 Like Dark Bahama, this book appears in a Detective Book Club edition I purchased when I bought a couple dozen of the Walter J. Black hardbacks at some book sale’s box day. Also like Dark Bahama, this book is a little hard for my modern reader sensibilities to get into. Although this book is set in Manhattan in the 1950s (or just post World War II), it shares more sensibilities with English cottage kinds of mysteries. Ms. Daly was in her late 60s when she wrote this, so she’s more of Clarence Day’s Manhattan than Mickey Spillaine’s New York. The story focuses on a young wife who escapes from the creepy, closed-in life she gets when she marries a wounded war hero who inherited an income and a townhome from an uncle. She ends up with Gamadge, who is a series character that detects based on knowledge of antiquarian books. Apparently, the woman’s husband found her holding two thin books and locked her in a room, compelling her to flee without even her gloves (yeah, it’s that kind of mystery). Gamadge noses around and discovers a murder and a cover-up, all hinging on the fact that the wife saw (but did not read) a book on the Tichborne case. Uh, spoiler alert. I’d kinda figured that was where it was going, and I strangely enough knew already about the Tichborne case; I even have it up on my white board as something I should write about. Maybe this book report will be enough to get it erased. So the first 40 pages were hard to get into, but once it got past that and you figured out who the characters were to care about, it got better. At 104 pages, it’s a fat novella more than a book. But it’s sold more copies than I have, so who am I to criticize? You damn kids and your “What is a Sinistar?” questions! No, this is all about the Wilsons. Wilsons, of course, refers to the $100,000 bill, which briefly depicted Woodrow Wilson. “Vonnegut-sniffing dogs.” Read about it at 24th State. I thought I’d coined a phrase yesterday, “the fêted swamp of Washington, D.C.“, but it turns out I found (via Google) that others before me had turned that particular intersection-of-Lovecraft-and-French phrase before. Harvey has an outdated technology check. Which of the following do you own? The automotive service center counter man who dealt with the woman who’d brought her car in for some no cost warranty work and spent much of her time in the waiting room talking about how she has no money for a month and a half for groceries or car repairs and how she’s thinking about selling plasma or going to the local medical research firm to have herself injected with drugs for money so the local medical research firm can see how they break down in the bloodstream. Yes, when confronted with these lamentations, the salesman did not back off on his point-of-sale badgering until she agreed to put the $10 bottle of fuel system cleaner onto her store credit card. The local computer service employee, who told me as I dropped off old printers and desktops for ‘recycling’ after confirming via email with someone at the company that there was no charge for recycling printers that there was, in fact, a $5 charge for laser printers because they have toner cartridges in them. You know, the toner cartridges you can take to Staples and get a discount on your next purchase for recycling them there so Staples can refill them or the toner cartridges sometimes collected by schools as a fundraiser because they can recoup money selling them to ink refillers. You know, the only part in the printer guaranteed to make the recycler money–that I need to pay them to take. Kudos to those guys for going the extra mile in a down economy for trying to squeeze blood from a rutabaga. There it is, in the lower left corner, just north of Eureka on Interstate 44. Times Beach, notoriously sprayed with dioxin, was disbanded and all of its citizens relocated in 1983. But there it is, still on Google’s maps. Bumblebee is a Volkswagen Beetle, dammit! Over at Legal Insurrection, Prof. Jacobson posts a bumper sticker spotted at my local Walmart. It’s strange to find I’m not the only one in Greene County who reads his blog. Because, gentle reader, when a relaxing moment turns into the right moment, is the object of your affection holding a firearm? If so, you’re doing something wrong. I mean, seriously, who sees this and does not immediately think of a particular quote from the film Dirty Harry? I don’t mean to make you feel old, but Seinfeld has been off the air for 13 years now. I didn’t watch a lot of television in the 1990s, so I missed a lot of the viewing events of my generation, such as E.R. and Seinfeld. Given that it was a thirty minute sitcom, I must have seen a full episode of it sometime, although I cannot remember when or what it would have been. I don’t think I saw a complete episode of E.R., either. This book, written by a fan newsletter (back in the day when newsletters were mostly mailed) editor, discusses the development of the sitcom, the post Larry David years, the cast, the memorable locations, and so on. It heaps approval on the show, of course, and made me interested in maybe seeing some of the show. The cast biographies talk about how the individuals playing the roles, scrappy good-hearted souls all of them, are dealing with their success and being on top of the world. Strangely, from here in the future, we can see that after the show ends, Jason Alexander voices a cartoon, Julie Louis-Dreyfus cannot carry a realtime sitcom, Michael Richards gets Corrected for a response to hecklers, and Jerry Seinfeld marries that little girl. The wheel of fortune, she turns in a decade and change. If nothing else, the book would be an interesting time capsule into the 1990s, although the program did begin in 1989, so it ran contemporaneously with my youthful golden age between high school, college, and almost up to my engagement. Ah, the 1990s. It seems like American history follows a certain cyclical pattern, doesn’t it? An epic struggle followed by a party. The 1920s followed the War to End All Wars, the 1950s and early 1960s followed the Depression and World War II, the 1990s followed the Cold War…. It’s a facile generalization, sure, but what do you expect in a derivative book report based on a television program about nothing? Regardless, I suppose I should be optimistic about the future after we get through the current troubles, but I know past performance is not indicative of future performance. Nothin’ but the David in me. Perhaps you’ve seen the video of the concealed carry motorist in Ohio who tried to inform the police officers that he was carrying a concealed weapon, only to be interrupted each time by the tough cop until such time when the weapon was discovered, whereupon the officer threatens him with bodily injury and death. I’ll tuck the video under the fold. I want to assure our citizens that the behavior, as demonstrated in this video, is wholly unacceptable and in complete contradiction to the professional standards we demand of our officers. As such, appropriate steps were placed in motion as dictated by our standards, policies and contractual obligations…. I have to ask you, do you take postings on social network sites from official government entities as the truth? As an official in a government entity, do you think this really is the forum for official statements? I dunno. Since it’s so easy to hack or spoof the social network sites, I don’t it’s a good idea. But I’m an old man. NOW GET OFF MY LAWN! I will not water the flowers with the pressure sprayer. A lot of people are glomping on how unprepared the MSNBC hostess is to walk into that bit of a gaffe. Yeah, she’s unprepared and looks dumb. However, more telling to her mindset is that she asks the question to dismiss the opinion of the member of Congress’s opinion; however, when the Congressman answers in such a fashion that his does have the credential to have a valid opinion, she dismisses that, too. So asking for a credential is only important in so far that it can exclude others. If the other has the proper credential, that, too, is unimportant; the other must be excluded some other way.